Design and technology is a subject that interests and excites most young people. It requires them to work both practically and theoretically, to investigate and research, design, plan, make and evaluate. It encourages creativity, decision-making and problem-solving as pupils get to grips with real needs and real products. Design and technology covers work with electronics, food, materials such as wood, metal, plastics and textiles, and requires the development of graphical skills, practical skills and theoretical knowledge and understanding. 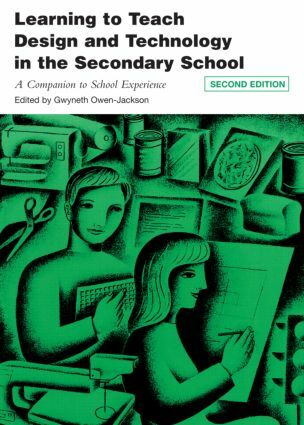 Learning to Teach Design and Technology in the Secondary School, second edition, aims to help student-teachers develop their subject knowledge and professional knowledge and skills. It looks at the theory underpinning important issues and links this to practice in the classroom. Fully updated to take account of changes in the curriculum, there are new chapters on: teaching graphics, 14-19 vocational qualifications and cross-curricular links to literacy, numeracy, citizenship and sustainability. Bringing together insights from current educational theory and the best contemporary classroom teaching and learning, this book will prove an invaluable resource in enhancing the quality of initial school experience for the student teacher.